Caitlyn Jenner is apparently exploring what options she has to sound more feminine. The US personality, who was known as Bruce before undergoing gender changing surgery, unveiled her new look at the beginning of June on the front cover of Vanity Fair magazine. Over the weekend she wowed crowds at New York Pride, looking happy and relaxed in a white skirt and top. Now it seems there's only one thing left for her to change. "Caitlyn wants her voice to sound feminine, and feels that her physical appearance doesn’t go along with her new image. 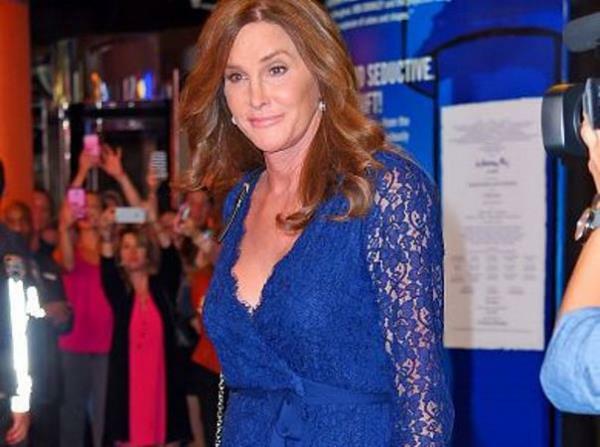 The voice is a constant reminder of Caitlyn’s former life as Bruce. It's been very hard for Caitlyn to move forward as a woman, while sounding like a man," a source told Radar. “She is exploring all her options, including having surgery, as well as hiring a vocal coach." However going under the knife again doesn't seem to be on the cards just yet. "[She] doesn’t want to undergo any more surgery. The gender reassignment and facial reconstructive surgeries were gruelling on her, and she isn’t rushing to have another operation," the insider added. Caitlyn isn't letting her voice hold her back though, and the crowds at Pride lapped up her surprise appearance. The 65-year-old's dark hair was worn loose, and she was seen dancing to music being played by DJ Jeremy Blacklow. "Caitlyn was a huge hit at the event and stayed for more than an hour. Everyone was so excited she was there," an onlooker commented. I'm a 33 year old woman looking to meet men between the ages of 35 and 45.